Lunchbox Dad: Huge Lunch Gear Giveaway! Get All Your Back-to-School Lunch Stuff for Free! 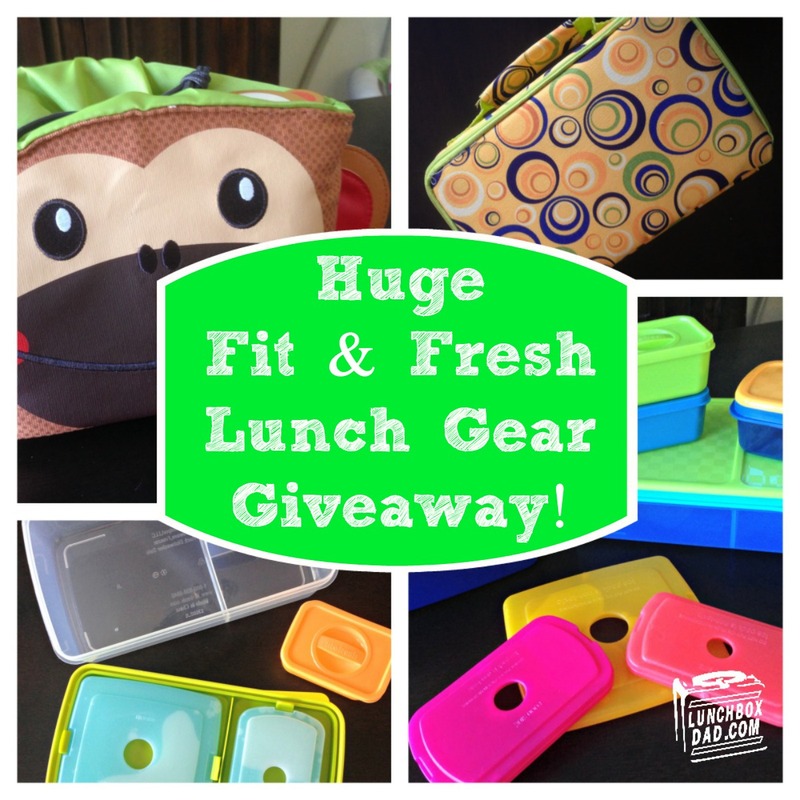 Huge Lunch Gear Giveaway! Get All Your Back-to-School Lunch Stuff for Free! One of the hardest parts of this time of year is back-to-school shopping. I want to help make your shopping a little easier. I've partnered with Fit & Fresh to bring you a huge prize pack of lunch gear. This is enough awesome product to get you through the whole school year...and maybe next year as well! I reviewed Fit & Fresh lunch containers last month and you will get the same package that I received. You can read the full review HERE. The Tiger lunch I made in them actually was featured in People magazine. So make sure you enter using the Rafflecopter widget below. Here is a list of everything you get: Bento lunch container with insulated carrier bag, drawstring insulated monkey lunch bag, and 17 piece bento lunch container set. Disclosure: I received these products for free from Fit & Fresh. I have received no other compensation for this post and the opinions I’m expressing here are solely my own. I love the Bento lunch kit. I have been looking for the perfect lunchbox for my soon to be first grader. I like the football lunch pod! The Bento Lunch Kit looks great. I'd be interested in the reusable sandwich bags. Are they easy to clean? I love the Bento Lunch Kit - anything that doesn't require a lot of lids/separate containers is a plus for us! My Favorite is the Everything Clear Lunch Tote! Bento Lunch Kid in the yellow pattern is great! Oh I LOVE the Morgan kids' lunch bag kit in the Hoot pattern!! My daughter is in love with owls right now and would adore this kit. I also think the football lunchpod is super cute for a little boy! I like the Austin kids for my son. It will suit him very well! I just picked up my first Fit & Fresh 1-cup chilled lunch containers at the store, and came to visit your site. I am blown away by your excellent, well thought out lunch products for a healthier, better tasting life, and have already moved all of the heavy glass jars I was carting around to the food storage shelf. THANK YOU, CHILL OUT fit and fresh! I like the Morgan kids lunch box in the Hoot pattern. Thanks so much Rainy Daze, I'm glad you found my site and found are able to get some good ideas! I haven't used the reusable sandwich bags but most of these types of products I have used are easy to clean. I think that the Ella Kids Insulated Lunch Bag is really cute. Purple is my favorite color. My kids love a variety of food. I love the Fresh Starts Toddler Chilled Travel Snack Bowl because I can pack different food in one box.